SO MUCH YARN, SO LITTLE TIME! : Warming hands. It's not just about hats this christmas. I will be warming some hands as well. 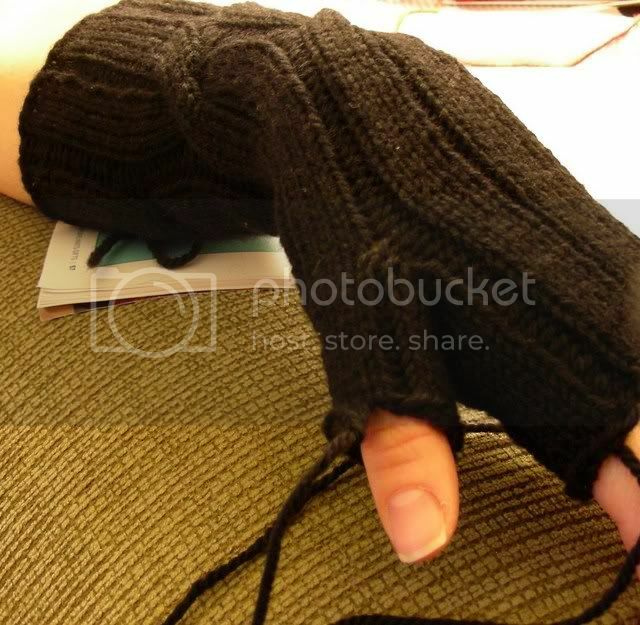 My nephew put in a request for fingerless gloves. It seems he is up pretty late doing homework...when the heat in the house goes down. He puts on his moms fetchings I made for her last year...so that he stays warm as he types. I decided he needed a pair of Dashings! I am using Patons classic merino - the yarn of the season for me! They are knitting up quite quickly. 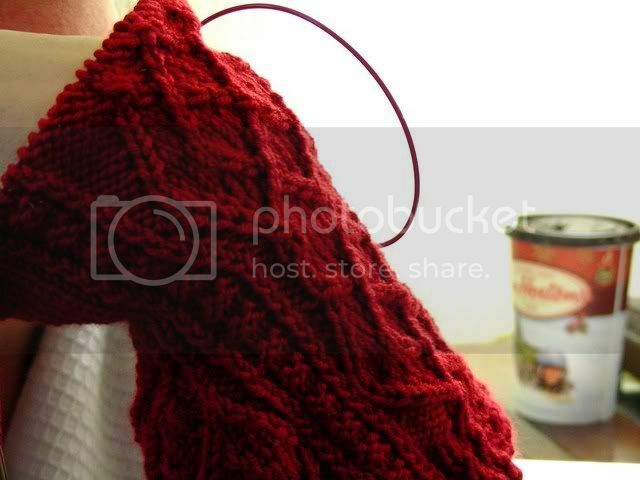 It really is an easy pattern, great for those learning to cable. Next up are more hand warmers...a new adventure for me. I have unsucessfully attempted fingered gloves before...but I am giving it a go again. I am going to finish that coffee...do some laundry...decorate the tree...get the kids off to school...and head to work...oh AND try to finish that hand chart inbetween all of that! The Dashing mitts look great. Good luck with your remaining projects. You inspire! I have only a pair of socks and a hat to do. I sympathize. My husband wants fingerless mitts for Christmas and I was hoping I could get away with the nice sawed off mittens variety. Oh no, he needs a space for each finger. Love the red with the patterning! Those are gorgeous! I especially love the red gloves - are those the gauntlets from the current IK? BEAUTIFUL!